The Canadian Tamil Youth Alliance (CTYA) strongly disagrees with the latest UN decision to defer the release of the investigation into the mass crimes committed by the Sri Lankan state against the Tamil people. The UN has continued to fail the Tamil nation in search for accountability through international measures, as this deferral is a direct denial of human rights and justice. 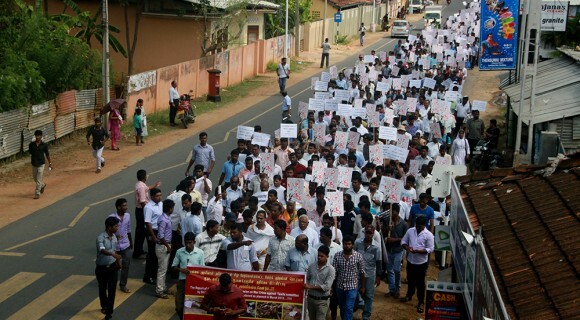 This morning thousands of Tamils turned to the streets in Jaffna to protest of this decision and called upon the UN Human Rights Council (UNHRC) to release the report next month, as scheduled. Protesters also questioned the lack of transparency and distrust in a domestic inquiry that allows the perpetrators of genocide the responsibility for conducting an independent investigation into their own crimes. The decision to defer the report of the Office of the High Commissioner for Human Rights Inquiry on Sri Lanka was strongly influenced by lobbying efforts that took place under the newly elected Sri Lankan President, Maithripala Sirisena. Recognizing the roles played by current government officials during the height of the genocidal onslaught of the Tamil people is important when analyzing the Sri Lankan state’s true intentions. During 2009, Sirisena was the acting defense minister along with Sarath Fonseka who recently agreed that he engineered the final onslaught in May of that year. This proves that regardless of successive regimes, the state of Sri Lanka was built upon Sinhala Buddhist chauvinism and exclusivism at heart and denies any form of political rights for the Tamils in the north and east of the island. However, even amongst a series of ongoing attacks and threats, the students in Tamileelam continue to resist injustice on the occupied Tamil homeland. 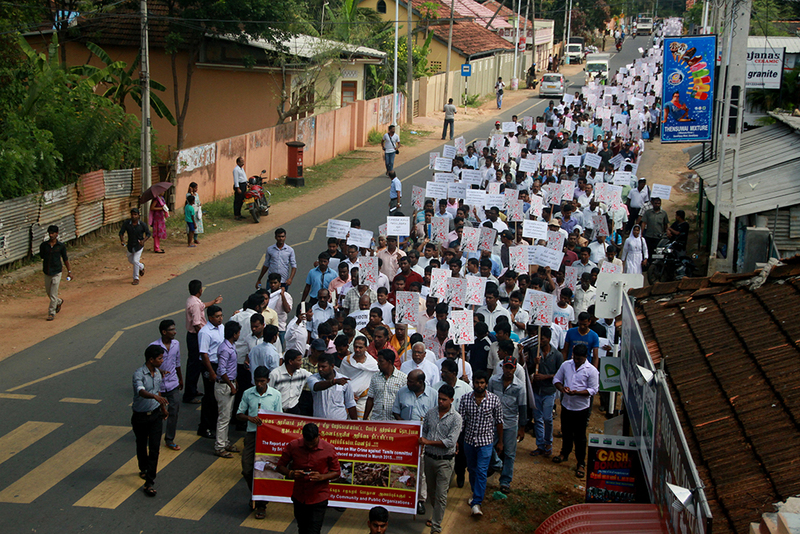 CTYA stands in solidarity with the Jaffna students’ decision to resist this deferral and to pressure the UNHRC to release the report as planned. This entry was posted on Tuesday, February 24th, 2015 at 11:06 am	and is filed under News, Uncategorized. You can follow any responses to this entry through the RSS 2.0 feed. You can leave a response, or trackback from your own site.